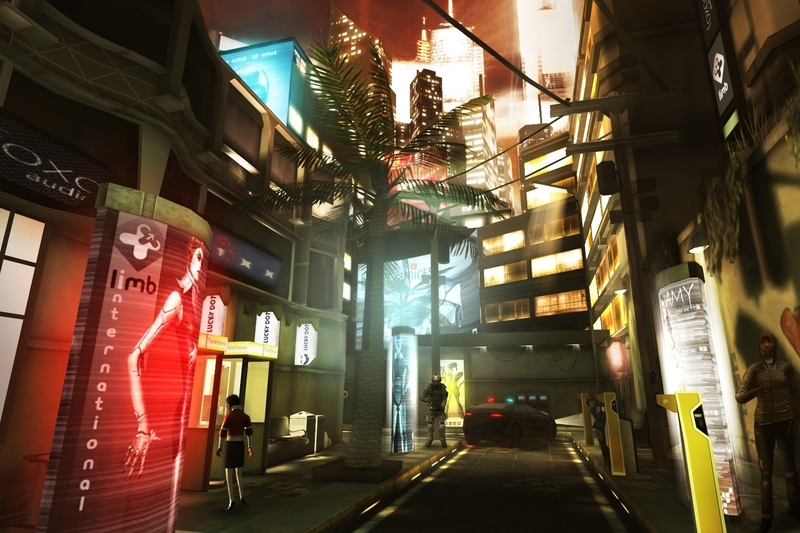 We've played the new Deus Ex game - here's what we think of it. Had Square Enix reached out to fans of Deus Ex, and offered them a blank check to determine the future of the series, it's unlikely anyone would have asked for a mobile or tablet game. Concerns about the suitability of touchscreens for "proper" AAA gaming persist, even in 2013, and the mobile world is still viewed with a certain amount of skepticism by the core gaming crowd. And so at the forefront of any Deus Ex fan's mind will be how well the controls of The Fall work in practice. The good news is that anyone with even a vague familiarity with tablet gaming will settle into the flow of things in fairly short order. You can use a virtual stick to move around the environments, or you can simply tap twice on the screen to move to that location. Stealth options are likewise handled elegantly - tap on a cover object to move into position, then tap on new icons to switch left and right between areas of safety. In the brief time we spent with the game, we had no difficulty navigating the world, and customization options abound for those who demand a bespoke experience. You're going to need these sharp controls tools to enjoy the more open-ended gameplay that defines the series too. As you'd expect from a Deus Ex game, you can sneak or slaughter your way through the game's many levels. Should you choose to go in all-guns-blazing, there's a competent target snap mode for the FPS aspects of the game. Take a sneakier route through a level, and you'll have access to the familiar security hacking games, for example. All in all, the control system does a good job of allowing you to prioritize targets with precision, and enjoy all of these staples without a physical controller. 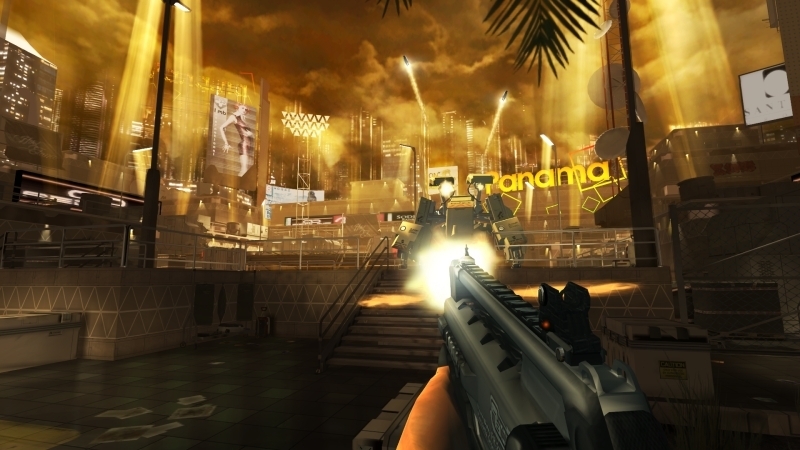 Graphically, The Fall will be very familiar ground to players of Human Revolution. A musty sort of orange pervades the world, and the ambiance of the game is one of a suitably brooding dystopia, complete with slums and neon lighting. It runs pretty smoothly for a tablet game too, although cinematics in the game are noticeably choppier than the actual gameplay - something we hope will be fixed with a round of pre-release polishing. Until we get our hands on a much fuller build, and have more time to get to grips with the more sandbox gameplay that's come to define Deus Ex, we can only be cautiously optimistic that what's promised to be an undiluted entry in the series proves to be exactly that. PC and console purists who won't even entertain the possibility of a touchscreen Deus Ex may balk in principle, but we're quietly impressed with Square's approach to fixing those evergreen touchscreen control issues. 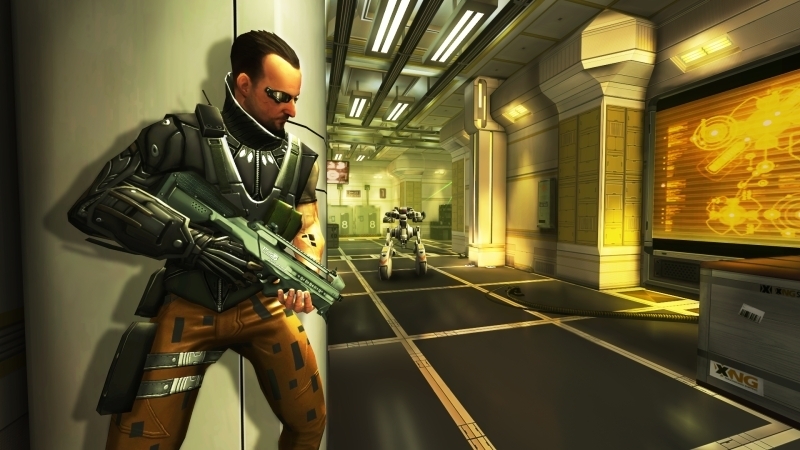 Deus Ex: The Fall will be released on the iOS platform this summer, and will cost $6.99.